South Weymouth, Mass., – South Shore Health System, Brigham Health/Partners HealthCare, and FoxRock Properties announced today their intention to bring community-based healthcare to the City of Quincy. 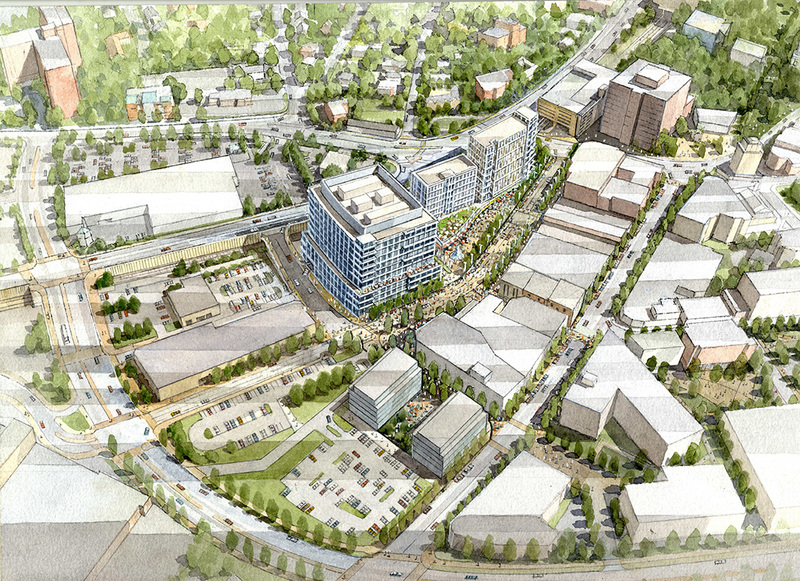 FoxRock Properties will develop the site of the former Ross parking garage in Quincy Center which will include a 200,000 square foot building, the future location of the South Shore Health System & Brigham Health/Partners HealthCare initiative. Additionally, South Shore Health System plans to open a primary care practice at 1495 Hancock Street in the summer of 2019. “As the leading community healthcare provider on the South Shore we must meet our patients and families where they need us the most – in their community and close to home. And that’s exactly what we’re committed to doing in Quincy, building a world class healthcare facility and expanding on our already strong relationship with the people who live and work there,” said Gene E. Green, MD, MBA, President & CEO, South Shore Health System. “This collaboration builds on our longstanding clinical partnership with South Shore Health System to ensure that the expert specialty care we provide in oncology, neurology, surgery and women’s health is accessible in the community,” said Betsy Nabel, MD, President, Brigham Health. The announcement comes as welcome news to Quincy Mayor Thomas P. Koch. FoxRock Properties, which is also leading the redevelopment of the former Quincy Hospital site, sees this as a chance to continue its investment in the city where it is based. Partners HealthCare is an integrated health system founded by Brigham and Women’s Hospital and Massachusetts General Hospital. In addition to its two academic medical centers, the Partners system includes community and specialty hospitals, community health centers, a physician network, a managed care organization, home health and long-term care services and other health-related entities. Partners is one of the nation’s leading biomedical research organizations and a principal teaching affiliate of Harvard Medical School. Partners HealthCare is a non-profit organization.